Have students try these activities to expand their knowledge and interest in the Roman Empire. Introduce students to Roman numerals. Have students practice reading and writing a few small and large numbers. Next, ask students to name significant events in history, such as the end of the Roman Empire, the signing of the Declaration of Independence, or the landing of the first man on the moon. Write these events on the board. Secretly assign one event to each student. Each student should then research the year the event took place and write this year in Roman numerals. Have students take turns putting their dates on the board. The rest of the class first figures out the date and then tries to match it to a major event from the list. Have students locate Rome, Greece, North Africa, Spain, the Middle East, and Britain on a map or globe to become familiar with the territory of the Roman Empire. Students should then research when Roman control began and ended in these areas, the names of the regions before, during, and after the Roman Empire, and compare the names to the modern English names of these countries and the names in each county’s native language. Make a class time line that goes from 500 B.C. to A.D. 500. Ask students to research ten events that happened between these dates around the world. Give students ten index cards or pieces of paper on which they should write one or two sentences about each event. Ask students to read their sentences aloud and place them along the time line in the appropriate location. 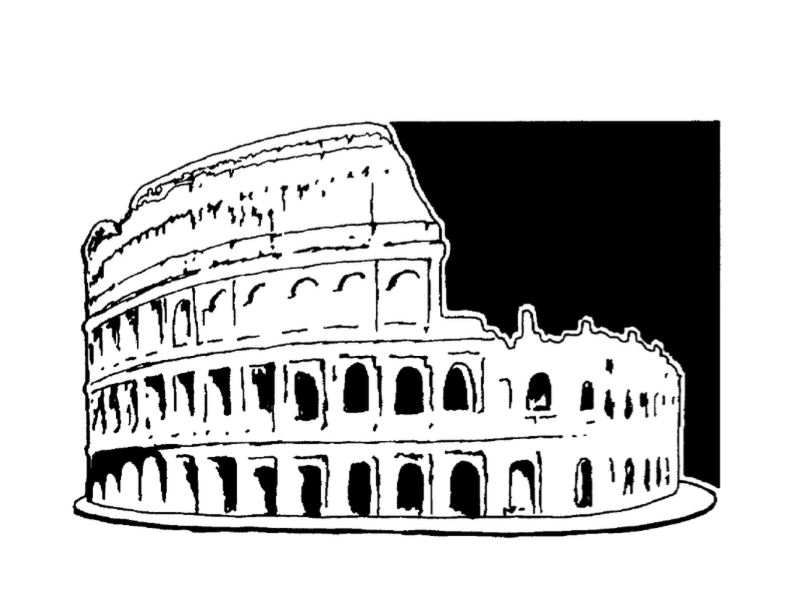 Ask students to pretend that they are visiting ancient Rome and are sending a friend a postcard. Discuss with students what types of images appear on postcards and what people usually write on them. Give students blank index cards and ask them to draw an appropriate picture on the front and write a greeting to a friend on the back. Encourage them to include details about the sights, smells, and sounds they would encounter in ancient Rome. For fun, students can even write the numbers in the address in Roman numerals! Ask students to select one of these sayings, and write a brief explanation of what it means to them and whether they agree or disagree with it. Students should also include a description of a real or fictional situation when the saying fits.